Canada’s Murph hits a home run again regarding environmental protesters. Good stuff, Rex. “We have to pass the bill so that you can find out what’s in it, away from the fog of the controversy,” Pelosi infamously stated of the hot-button legislation. While she may have been alluding to what she believed to be the bill’s future popularity, following the rancor and oft-disputed claims – “death panels” – surrounding the debate over what the legislation meant for a sensitive issue like health care, the line was used as a political cudgel to help the GOP regain the House later that year. Yet, Republicans voted on the 2015 NDAA after the full bill had been available to read – for both the public and members of Congress – just 36 hours prior, as pointed out by InfoWars. “I really wish to emphasize that the train-and-equip mission is just that. It in no way, shape, manner or form authorizes the use of military force,” said Rep. Adam Smith (D-Washington), the ranking Democrat on the House Armed Services Committee. I have wrestled with this exact question …to no conclusion. It would seem that, if nothing else, all he would have to do is legitimately take delivery at COMEX and expose the fraud. I keep asking myself – why doesn’t he do it ? Maybe he has gotten the word NOT to do that. It would probably mean war. I do not underestimate the banksters anymore – I think they are capable of anything. from what little I know about Putin one thing stands out – among his other attributes, he is a chess player. and I respect that. IF he does want to win, he will do it his way. My guess is he will move when the time is right and in his favor. His move will be sudden and dramatic. What keeps me in this nightmare is the thought that if I am out of PMs when it happens I will be out of luck. If Putin wants to rid himself of the scum he seems to have the backing to do it at any time. The question seems to be whether he wants to remain captive to the NWO or he wants to rid himself and Russia of the bankster scum. I’m not sure yet about Putin and his intentions. Seems to me he could end the game if he were to back his currency with gold. First country to back the currency wins. Does Putin want to win? Gold…the case to go “All In”? Since Jan 1, 2011 equity markets of the BRICS representing growing economies w/ strong demographics and low but rising wages coupled w/ low levels of consumer debt…are falling. While the slow growth, highly indebted, falling income, demographically backward markets of the US, Japan, and EU are flying. The Brazilian Bovespa is down -23%, Russia’s Micex -20%, Chinese Shanghai -19.5%, India was only up +8% until a gold import ban in Aug of ’13 was implemented and up +44% since. By comparison, the S&P is up +48%, Nikkei +42%, DAX +25%, FTSE +7%, French CAC +5%, and among larger markets only Spain (- 4%) and Italy (-10.5%) are down. This despite collapsing crude oil consumption in the US, Japan, and Europe compared to rapid consumption increases across the BRICS (see chart below from ’05-’13…but the trends have been consistent). Drops in energy consumption of this magnitude typically indicate depression conditions exist, and increases in consumption usually represent economic growth. All I can say is something does not add up. And China’s gold holdings would act as an insurance policy paying off in the case of a dollar dilution. Of course Chinas’ economy would be harmed by shrinking exports to the US and Europe but that was the “re-balancing” they’ve been talking about all along. Now, whether this will work just as China is likely falling into the third great real estate collapse of the last 3 decades (Japan in ’89, US in ’07, China likely now in ’14)…well China may be protecting itself from itself as much as from the US because if they follow the Japanese and US model to print their way out of a real estate collapse…gold may simply be “priceless” in sovereign currencies. What I’ve explained is how things work for those who make the rules…so while precious metal fundamentals may seem bright vis-a-vi fiat currencies…please don’t go out and sell everything to buy gold. I’m not an advisor and I only write this to inform you in your decision making. I have no crystal ball and the more I know, the more I’m sure I don’t know. So the only advice I’ll offer is follow the old axioms, “all things in moderation” and “hope for the best and plan for the worst”. The University of Oklahoma Sooner fans are in morning. The Cowboys won in Norman in overtime. Bring on the bowl games. Thanks for these precise and clear instruction, even my 5 year old would be able to follow it(then). Well now they 36 and 34 but I am sure they could follow it. Have a good weekend gang , what’s left of it ! What I do is Right click top of the video image and left click copy video url that appears first in the pop-up window. 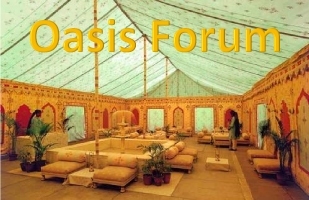 Go to Add New Post on the Oasis, place cursor in the area where I am now typing and hit ctrl v. The url will appear and when you click publish the video will show rather than the url. Hardship well that’s good. That should account to about at least half of the economy. Just a quick question, how do you imbed YouTube clips into the posts ! Just not sure and I want to get good results straight away. Hope it’s not “Monday bloody Monday” for gold coming up. Wanted: One media organization interested in a trademark and the associated domain names related to market analysis. Price is attractive; transaction to close on or shortly after the calendar rolls. PS: Yes, this is serious. Under 15 minutes and very informative!! There is a hardship exemption. There are no defined standards for this hardship…it is just your opinion that Obamacare could cause you a personal hardship. They only ask you to submit documentation, IF POSSIBLE. That is a Mack Truck loophole! Yet it is worth recalling that the U.S. economy survived 1998 just fine, with the benefits of low interest rates and inexpensive energy providing a bigger boost than whatever slower global growth and a stronger dollar took away. The real risk, it turned out, had nothing to do with anything lurking overseas. Instead, it was excessive valuations being paid for some stocks and the too-good-to-be-true financial statements that some companies had begun to manufacture that left investors exposed. You mean like megacap companies like Amazon selling at a thousand times earnings (if it has any at all) and firms such as IBM (and others) manufacturing “earnings” by playing the buyback-stock-with-borrowed money game? That sort of manufactured financial statement? Or was it something else. Oh yeah, it was. But is there really much difference in kind and character than what we’re seeing now? I think not — indeed, if anything it’s arguably worse now in that it’s not just “one sector” (that is, tech) playing these games today — it’s literally everywhere! We are all facing the same delemas. So what are you saying, if I put a sheet over my head I could get through the loop holes? Lucky you, you wouldn’t even have to wear one. Being in healthcare I couldn’t get away with the Christian Science beliefs. How ironic is that one. They call it science but isn’t modern medicine a science? To each their own path. How about a religion that doesn’t allow you to be forced to pay into mandatory Heath Care. Due to my re-education from the internet I am constantly amazed at the BS that is printed in it. In the business section today was an article about US job numbers. 321,000 jobs created, Us economy picking up! if you’re not a liberal at 20, you have no heart. If you’re not a conservative at 40, you have no brains.